The track of the low has shifted about 30 miles further south. Above you can see what can be expected around midnight Tuesday night. That means the heavy snow has shifted a little further south as well. 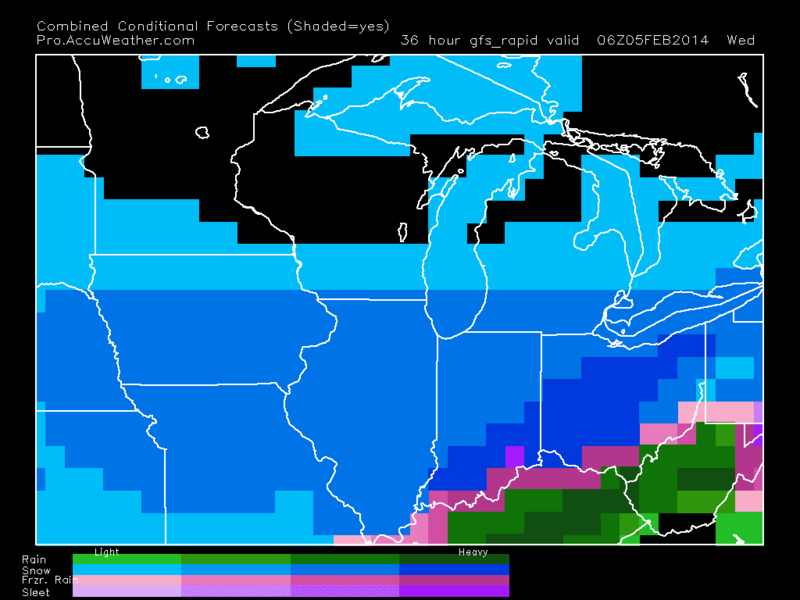 I still think Columbus has the potential for some ice, but a better chance of ice for Southern Ohio. 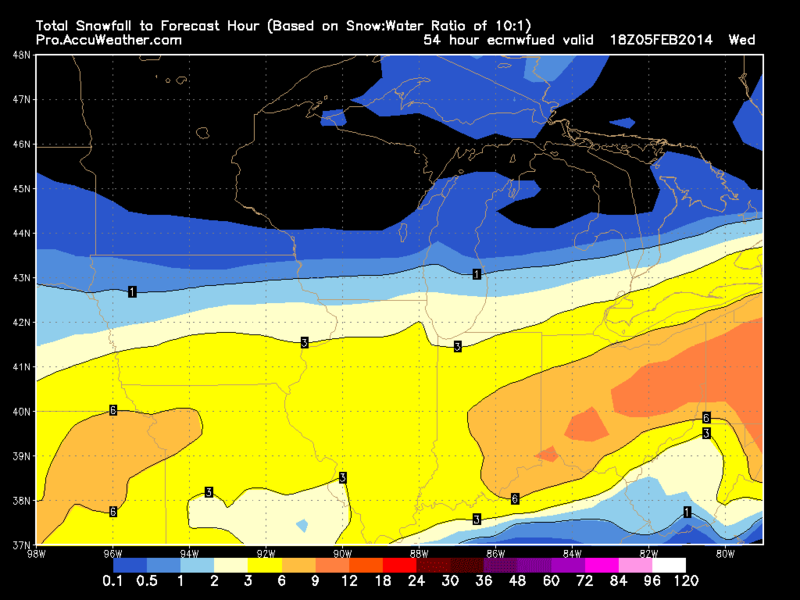 This is the Euro forecast model and I am agreeing with that a little more. 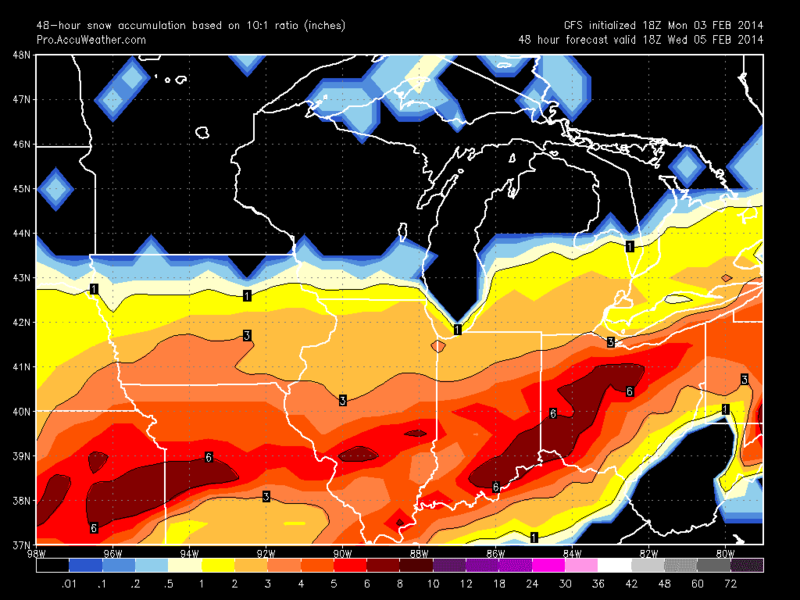 From Cincinnati to Columbus to Pittsburgh, PA (which was the ice line yesterday) will now be the heavier snow totals. I think along that line 6-9+" inches of snow are possible with some places seeing slightly more than that in isolated pockets. Far Northwestern Ohio will see 3-6" and far Southeastern Ohio will see the ice and rain followed with only a few inches of snow. Keep in mind, ANY bit of icing or rain will quickly drop your snow fall totals. If this was an all snow event it would be much easier to forecast, but that dang ice line is splitting Ohio. Anyway, these are my latest thoughts... Any changes and I will let you know. Have a good one!